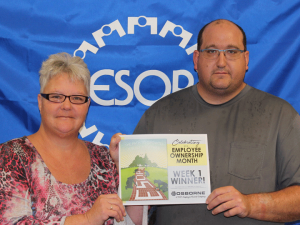 During the month of October, the ECAC Committee plans weekly games for all Osborne employees to participate in. 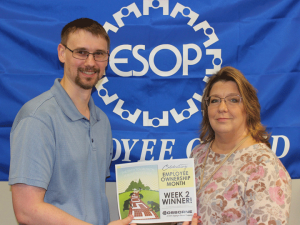 These games help educate employees about the ESOP, the Company, and their customers while having a bit of fun at the same time. Each week, there were drawings and prizes for those who correctly completed their game. 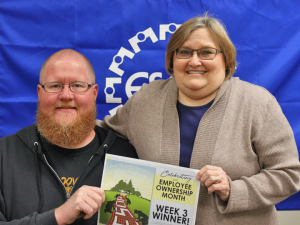 In October 2018, winners of the ECAC-sponsored games for Employee Ownership Month were awarded a free vacation day! 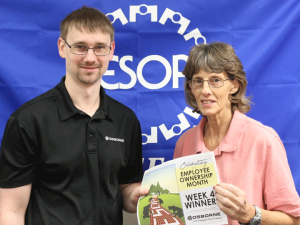 Congratulations to this year’s winners: Josh Shellito, Shari McCormick, Eric Standley, and Joyce Hartsock.